BOSTON, Mass. (May 10, 2017)—Olympic medalists, American Record-holders and NCAA Champions are among the first stars set to compete at the second-annual adidas Boost Boston Games distance festival in Somerville on June 2, organizers have announced. Headlining the Somerville roster are Nick Willis, the two-time Olympic medalist at 1500 meters; Dejen Gebremeskel, the 2012 Olympic silver medalist at 5000 meters; and Ajeé Wilson, the 2016 IAAF World Indoor Championships silver medalist at 800 meters. 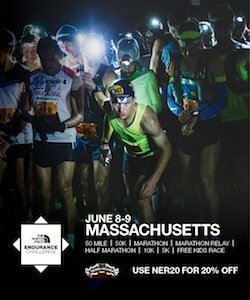 Tickets for the Somerville distance festival, at $10, are available at www.adidasboostboston.com, and will again include a post-race barbecue where fans can get autographs and selfies with world-class athletes. The first 1,000 ticket-buyers will also receive a free T-shirt. The event, which takes place at Dilboy Memorial Stadium, begins at 5 p.m.
On Sunday, June 4, the adidas Boost Boston Games “street meet” will be held on Charles Street in Boston, on a 200-meter track to be erected between the Public Garden and Boston Common. Four Olympic gold medalists from Rio—Wayde van Niekerk, Shaunae Miller-Uibo, Tori Bowie and Jeff Henderson—already are set for that event, and more stars will be announced soon. Among the athletes who mingled with fans at last year’s barbecue after the Somerville meet were Willis and Wilson, both of whom have seen great success since their last visit to Dilboy. Willis, the 34-year-old who owns four New Zealand national records, went on last summer to win his second Olympic medal at 1500 meters when he took bronze in Rio, adding to his silver medal from Beijing. And Wilson, the defending 800-meter champion at Dilboy who just turned 23, ran 1:58.27 in February to break the 15-year-old indoor American Record. the previous 800-meter indoor mark when she finished second to Wilson in that race. Last year here, Gebremeskel ran the third-fastest time in the world for 2016 (12:59.89) in winning a speedy 5000-meter duel against fellow Ethiopian Hagos Gebrhiwet. This year, another fast race could be in the offing, as he will face a trio of medal winners: Thomas Longosiwa of Kenya, the 2012 Olympic bronze medalist; Edwin Soi of Kenya, whose Olympic bronze medal was earned in Beijing; and Muktar Edris of Ethiopia, the 2015 IAAF World Cross Country Championships bronze medalist who ran both the second- and fourth-fastest times in the world last year. In the men’s 800 meters, the first star set is Donavan Brazier, 20, the 2016 NCAA Champion and American Junior Record-holder at the distance. Once again, the adidas Boys’ and Girls’ Dream Miles, highlighting the top high school milers in the nation, will be featured in Somerville, while top high school sprinters will be in the spotlight at the adidas Dream 100 on Charles Street. The adidas Boost Boston Games, produced by Boston-based Global Athletics and Marketing, Inc., is part of the 2017 USATF Championship Series. The street meet, which will include highlights of Dilboy action, will be broadcast live on NBCSN on June 4 from 4-6 p.m. More on the adidas Boost Boston Games, which is part of the 2017 USATF Championship Series, is available at www.adidasBoostBoston.com; on Facebook at adidasBoostBostonGames; on Twitter at @adidasBoostBos; and on Instagram at adidasBoostBostonGames. adidas is a global leader in the sporting goods industry with the core brands adidas and Reebok. Headquartered in Herzogenaurach/Germany, the Group employs more than 60,000 people across the globe and generated sales of €19 billion in 2016.